I was able to make a couple fashion week stops over the weekend since I was in New York. Catherine Malandrino showed some beautiful looks for Spring/Summer. 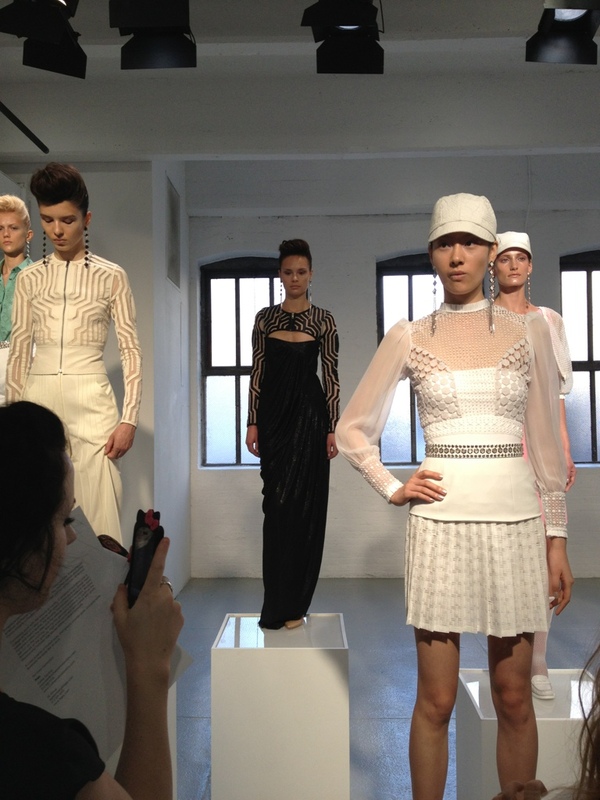 A lot of geometric cutouts, crochet, embellishment and fringe in whites and pastels. I always fall in love with her stuff! Here are some looks I loved..